The World Methodist Council came into being as a result of the awakening that occurred under the leadership of John and Charles Wesley in 18th Century England. Churches that have emerged n the Methodist tradition stand within the continuity of the one universal Church, confessing the Lord Jesus Christ as God and Savior, worshiping the one God, Father, Son and Holy Spirit, preaching the one gospel and accepting the authority of the Holy Scriptures and the creeds of the early church. Over the past two centuries Methodist Churches have developed in over 130 countries of the world. Where church unions have occurred, the Methodist contribution is found in United churches. Just over sixty million baptized members comprise the total membership in eighty separate Methodist, Wesleyan, United, Uniting and Nazarene churches. The global Methodist community numbers over eighty million. The Council is one of thirty or so “families” of churches known as Christian World Communions. These communions share a general tradition which is common to all Christians, but each have specific traditions which have grown out of spiritual crises in the history of the Church. Orthodox, Roman Catholic, Anglicans, Lutherans, Baptists, Reformed Churches, Methodists and others render witness to specific convictions of doctrinal or ecclesiastical character which they consider to be essential for the life of the whole Church. The World Methodist Council, as one of these world communions, seeks to strengthen the love of its members for Jesus Christ as Lord, and for each other as brothers and sisters in the faith. It seeks to increase the awareness whereby God’s love finds expression, to proclaim the gospel and to serve Christ in the world with an eye to the spirit and emphasis of John Wesley which, even in his time, was broadly catholic in nature. The member churches of the Council are each autonomous in their government. World Methodist Council decisions and directives do not encroach on this autonomy, but are derived from the churches themselves, where common endeavor seems desirable. They carry moral suasion and inspire united witness. 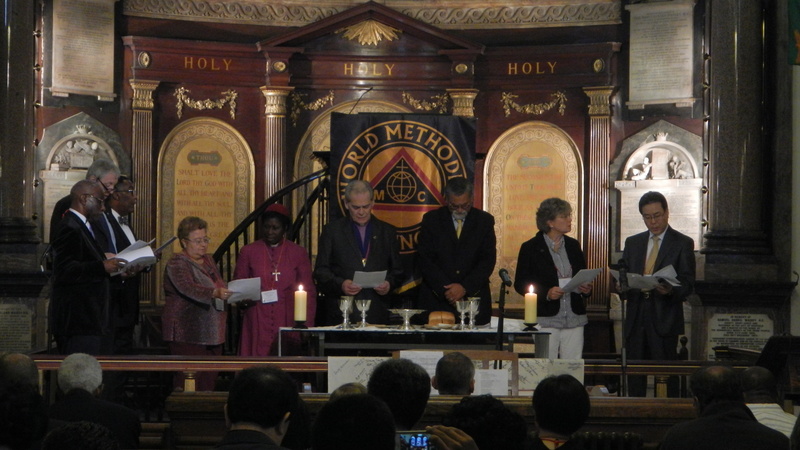 Three hundred and fifty persons from every part of the world comprise the membership of the World Methodist Council. The Council meets every two and a half years to survey its program, transact necessary business, elect officers, organize committees for its work, and once every five years to convene the quinquennial World Methodist Conference, which is attended by as many as 3,000 delegates and observers. Between meetings of the Council, the Steering Committee and Elected Officers exercise the functions of the Council. The Second Vatican Council caused an ecumenical revolution when it proposed conversations one-on-one with a wide range of other Christian churches, known as bilateral dialogues. Multi-lateral conversations are familiar from the work of the World Council of Churches. The Roman Catholic-World Methodist Council one was among the earliest, beginning in 1967 and has produced reports every five years. In 2011 a digest of the previous 40 years’ results, Synthesis, was published (see Resources on our website). In the recent past, dialogues with Lutherans and Reformed churches and the Salvation Army have been fruitful. 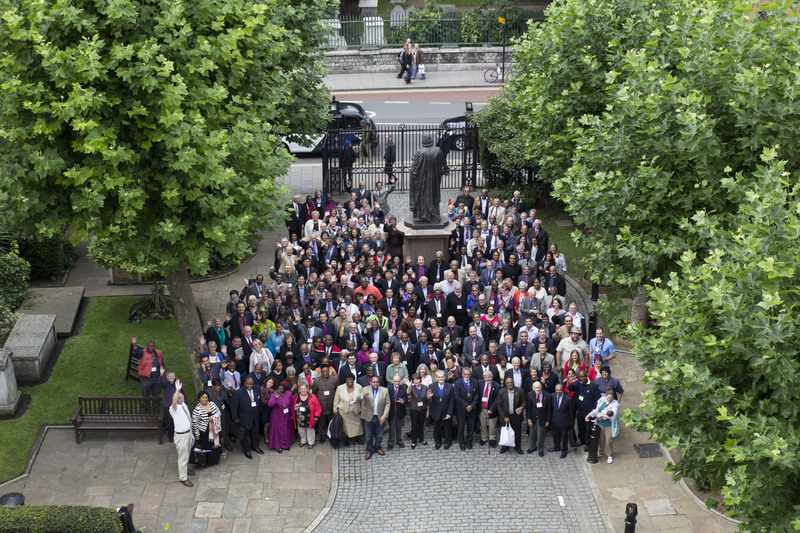 In 2015, the report of the Anglican-Methodist international dialogue, Into All the World, will be available. The first dialogue with the Baptist World Alliance began in 2014 and is continuing. Standing Committees and Chairpersons are elected by the Council in areas such as: Evangelism, Ecumenical Relationships, Family Life, Social Justice, Worship and Liturgy, Education, Theological Education, Inter-Religious Affairs and Youth and Young Adults. Other committees reflect in their names the concerns for which they are responsible: Finance,Nominations and Program. succeeding Council meeting. World Methodist Evangelism supports the Council’s constitutional aim to “encourage evangelism in every land”. This was expanded to a full-time program in 1977, designed to implement and augment the efforts of member churches with an international office and director. In collaboration with Emory University and Candler School of Theology, the World Methodist Evangelism Institute was established in 1981. This arm of World Evangelism has met with great success in training and equipping evangelism leaders through international and regional seminars on every continent of the world. Currently fifteen Regional Evangelism Secretaries are appointed to carry forward the Evangelism program. Wesleymen, The Men’s Affiliate of the World Methodist Council was formed in 2006. The group seeks to unify men who worship in the Methodist, Wesleyan, Nazarene, United and Uniting Church traditions throughout the globe. The organization is partnered with Stop Hunger Now and seeks to fight global hunger and food insecurity. The WesleyMen’s officer also serves as a member of the Council’s Steering Committee. Methodist Women) is an important partner organization which affiliated with the Council in 1956. Its worldwide constituency is composed of Methodist women in every land. The World Federation is autonomous in its program and elects its officers at the quinquennial Assembly it organizes. The Federation’s World President also serves as a member of the Council’s Steering Committee. 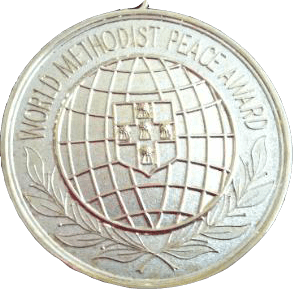 A World Methodist Peace Award was inaugurated in 1976 to recognize the exercise of courage, creativity and consistency on the part of individuals pursuing reconciliation between persons and nations. Criteria for determining who should receive the World Methodist Peace Award are: Courage, Creativity, and Consistency. ordinarily would desire to have association or fellowship. CREATIVITY includes consideration whether or not activities open up new initiatives and new grounds for negotiations and progress, also whether the potential recipient attracts others to join in working for the cause of peace, and builds up an increasing body of committed opinion in favor of and working for the cause of peace. CONSISTENCY is judged by whether the effort is sustained over a period of continuing intensity despite disappointments, frustrations and setbacks. The recipient receives the sliver/gold gilt medallion, a citation and US $1,000 which is only symbolic of the larger recognition of what the person has done. The World Methodist Conference was first convened in 1881, when 400 delegates from 30 Methodist bodies around the world traveled to London and met for twelve days in Wesley’s Chapel. World Conferences were held at ten-year intervals until 1931. When World War II intervened, the Conference was deferred until 1947. Two decisions were then taken: to change the name from “Oecumenical Methodist Conference” to “World Methodist Conference” and to meet at five-year intervals. Since the first Oecumenical Methodist Conference in 1881, participation of national churches has dramatically increased, with the worldwide character of the movement seen in the spectrum of representatives present at the most recent Council meeting in London, England. The next World Methodist Conference is scheduled to take place from August 31-September 3 2016 at the Hilton-Americas Hotel and Convention Center in Houston, Texas USA.